In an act of generosity and homage, Australia’s Eva Besen AO and Marc Besen AO are dedicating TAU’s School of Historical Studies in the name of a cherished friend, iconic historian Prof. Zvi Yavetz (1925-2013). Marc Besen AO (left) with the late Prof. Zvi Yavetz. As childhood friends in the formerly Romanian city of Chernovitz, two boys grew up playing ping pong and chess, immersed in a thriving Jewish community rich in synagogues, cultural institutions and the Yiddish language. Yet the cruel winds of fate soon brought this to an end. Of the Jews of Chernovitz, who constituted a quarter of the city’s population in the early 1930s, few survived the Holocaust. Centuries of traditions and family lines were reduced to ashes, childhoods snatched and smashed. Yet the two boyhood friends – Marc Besen and Zvi Yavetz – managed to escape their homeland in time to save themselves. Mr. Besen went on to establish a major women’s clothing chain and other successful business ventures in Australia. He and his wife, Eva, became well-known for their major philanthropic contribution to society and were both awarded the prestigious Officer of the Order of Australia (AO). In Israel, Prof. Yavetz pursued a career in academia, proving instrumental in founding Tel Aviv University’s Department of History, and indeed the entire Faculty of Humanities, where he served as Dean. Despite the vast distances between them, the two men retained their special connection. During these years Besen and Yavetz saw each other often, reminiscing about their childhood memories. The latter also drew his old friend into the TAU family as a governor and benefactor. Now, some 70 years since his exodus from Chernovitz, and in a milestone for the field of humanities at Tel Aviv University, Eva Besen AO and Marc Besen AO are dedicating TAU’s School of Historical Studies in the name of Prof. Yavetz, who passed away in January, 2013. 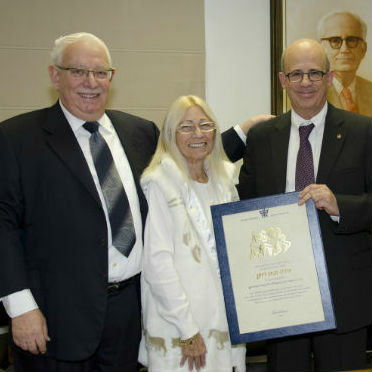 Cherished both for his humor and devotion to his craft, Prof. Yavetz's seminal research on the Roman Empire and on ancient and modern anti-Semitism is considered canonical, and he also founded the Israel Defence Forces’ Command and Staff College, which trains senior IDF officers. The School of Historical Studies serves as an umbrella framework for most historical research carried out at the University and supervises doctoral students from six departments – General History, Middle Eastern and African Studies, Classical Studies, Geography and Human Environment, East Asian Studies, and Arabic Language and Literature. Among the myriad research centers affiliated with the School and its researchers is the Eva and Marc Besen Institute for the Study of Historical Consciousness, established by the Besens in 1989. From the Aztecs and the Ottomans to the rise of modern science, European nationalism and the American civil rights movement, the School of Historical Studies’ research depth and diversity enriches knowledge of the past to shape a better understanding of the contemporary world. The School not only trains historians, but also has produced prominent policymakers, diplomats, journalists and other influential figures in both Israel and abroad. 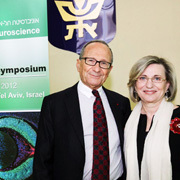 Among its 90 faculty members the School has six Israel Prize laureates – including Prof. Yavetz – and four members of the Israel Academy of Sciences and Humanities. Prof. Leo Corry, a world-recognized expert in the history of the exact sciences and the School’s new head, says that, in addition to “enhancing the school's high level of scholarly distinction, the Besen family’s generous donation will fund scholarships for our most brilliant students.” The Besen gift will also finance travel grants for young scholars to pursue doctoral research at historical archives abroad; expand post-doctoral fellowship frameworks, and overall advance the School’s global profile. Pictured: Two of TAU’s School of Historical Studies’ most promising doctoral students, Duygu Atlas (left), from Turkey, and Joyce Van Der Bildt, from the Netherlands. Both are scholarship recipients and travel frequently to international academic conferences to promote their research. 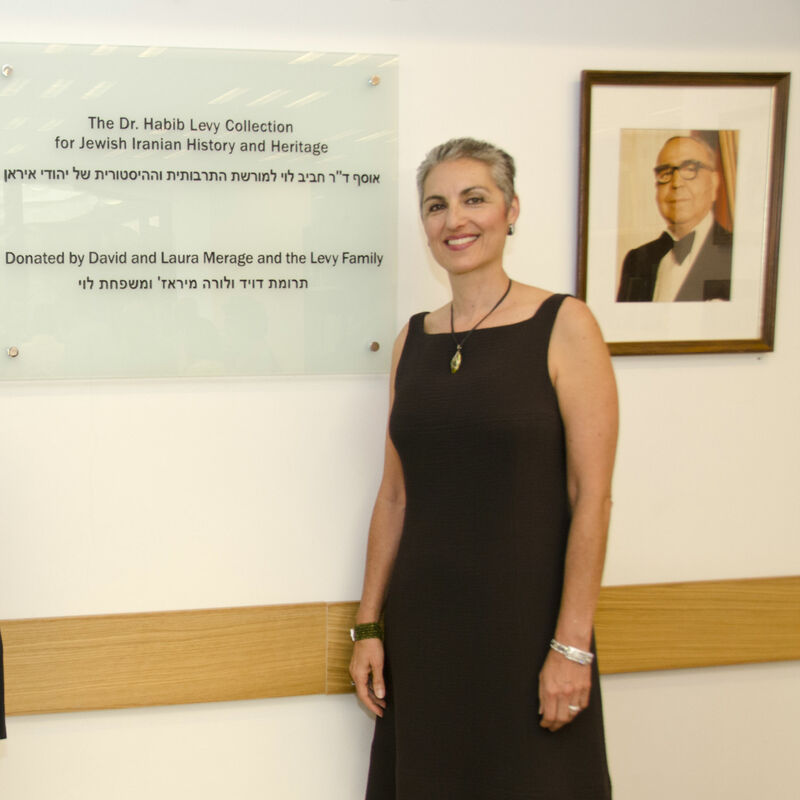 The dedication of the Yavetz School is the culmination of decades of Besen support for TAU. The family inaugurated the Gusta and Simon Besen Hall of Human Rights in 1981, and founded the Eva and Marc Besen Institute for the Study of Historical Consciousness in 1989. They also contributed to fellowships, to publications of special edition historical journals, and to the TAU Australian Friends–Victoria scholarship fund. In Australia, through the Besen Family Foundation, the Besens are one of the country’s most significant philanthropic forces, supporting a range of pioneering projects and grants in the arts, health and welfare, as well as acting as bastions of support for the Jewish community. In recognition of Marc Besen’s remarkable entrepreneurial career, community leadership, charitable works and friendship, together with Eva, toward Tel Aviv University, he was the first Australian recipient of a TAU honorary doctorate in 1985. The Besens’ philanthropic and community ethos has passed on to the next generation. Marc and Eva Besen’s children are heavily involved in multifaceted endeavors to benefit Australian Jewry and the population at large. Whether in history or art, education or health, the Besen spirit of giving has and continues to enrich the lives of countless people. Here, in Israel, an entire new generation of talented scholars will now benefit from this family culture – nurturing tomorrow’s experts and leaders who will keep the legacy of Prof. Yavetz burning bright.